Back in October of last year, Google announced it would shut down Google+ after a data breach occurred. A security bug allowed third-party developers to gain free access to nearly half-a-million users’ Google+ profile information since 2015, The Wall Street Journal reported. Although Google discovered the problem in March 2018, it did not inform users of the breach until much later. Hours later, users filed a lawsuit over the data breach. 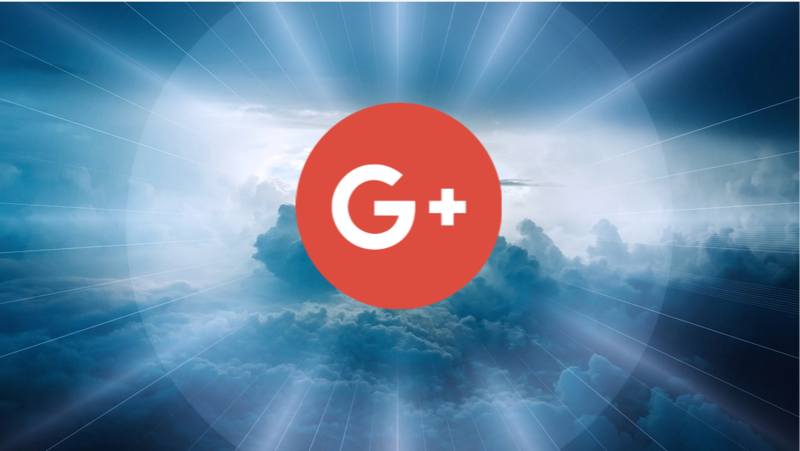 Thereafter, the service suffered another data leak, which caused Google to move up the shuttering of Google Plus. There’s no question Google+ did not perform well among its incumbents. In fact, in January, the site went down for several hours and nobody really noticed. Google stated it would pull the plug on the platform April 2nd, 2019. The Wayback Machine, which is maintained by the Internet Archive, even promised to back-up the site in March. Until yesterday, Google+ was still up and running, lasting about two weeks later than scheduled. It was still possible to browse through the pages, posts, and groups. 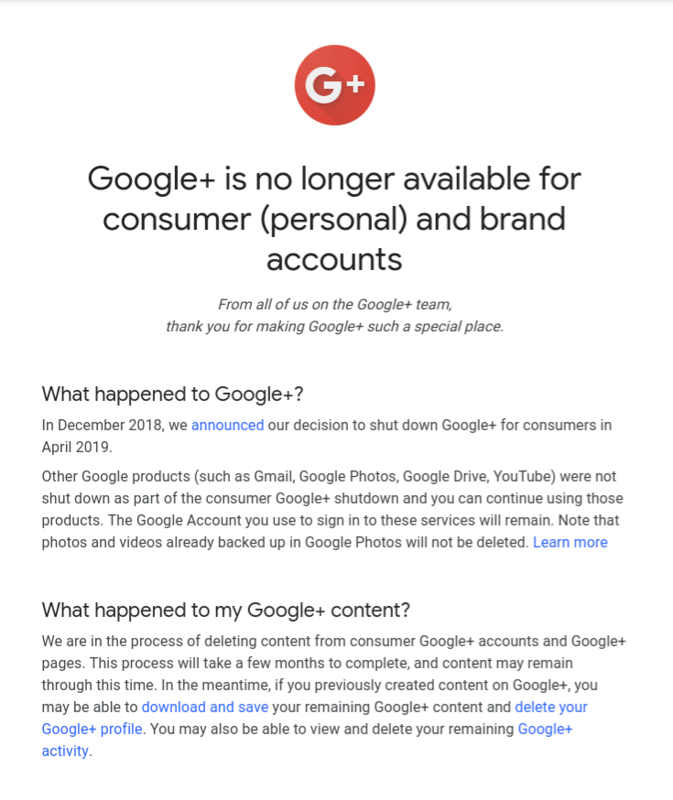 Other Google products (such as Gmail, Google Photos, Google Drive, YouTube) were not shut down as part of the consumer Google+ shutdown and you can continue using those products. The Google Account you use to sign in to these services will remain. Note that photos and videos already backed up in Google Photos will not be deleted.